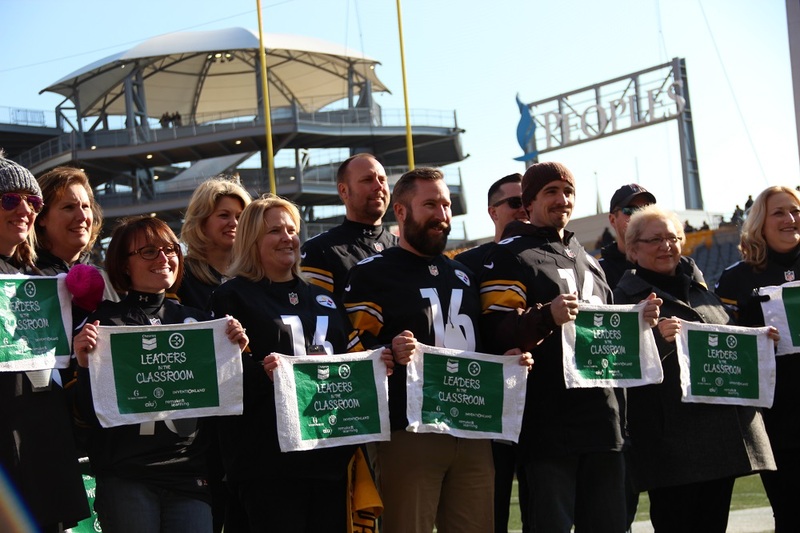 The Pittsburgh Steelers are used to being champions on the field; but, the team recently shared the spotlight with 16 area educators as part of the team’s “Leaders in the Classroom” program, an initiative also sponsored by Inventionland and the Chevron Corporation. 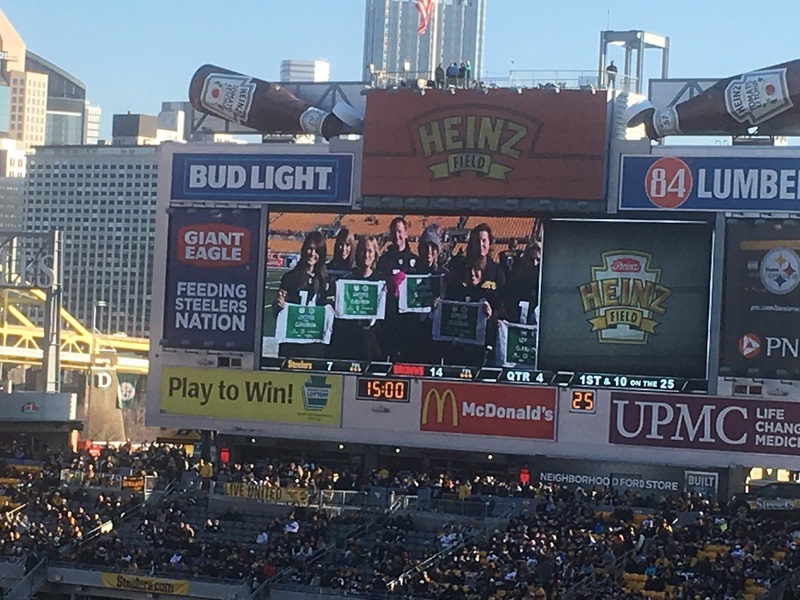 The 16 Leaders in the Classroom were recognized at Heinz Field at the Steelers’ January 1st matchup against the Cleveland Browns. The on-field ceremony included Inventionland founder and CEO George Davison, who congratulated each recipient and presented them with a $1,000 credit for STEAM products offered in the Inventionland curriculum catalog. Noting how the teachers’ engaging instruction and curriculum significantly impacts the region’s pre-K to 12th-grade students, Mr. Davison said that he hopes the credit will further those efforts. “Inventionland has gotten teachers and our children excited about how they can make things and improve the future as they learn 21st century skills,” said Davison. Three of the recognized teachers already are utilizing Inventionland’s interactive STEAM-based curriculum. Intermediate Unit 1 (IU1) Colonial Campus teacher Kevin McKee, John Marshall High School’s Sally Gaughenbaugh and IU1 Educational Campus at East Franklin’s Eric Selva currently apply Inventionland’s hands-on, project-based learning in their classrooms. According to McKee, the interactive curriculum helps to keep his students engaged and wanting to learn more. 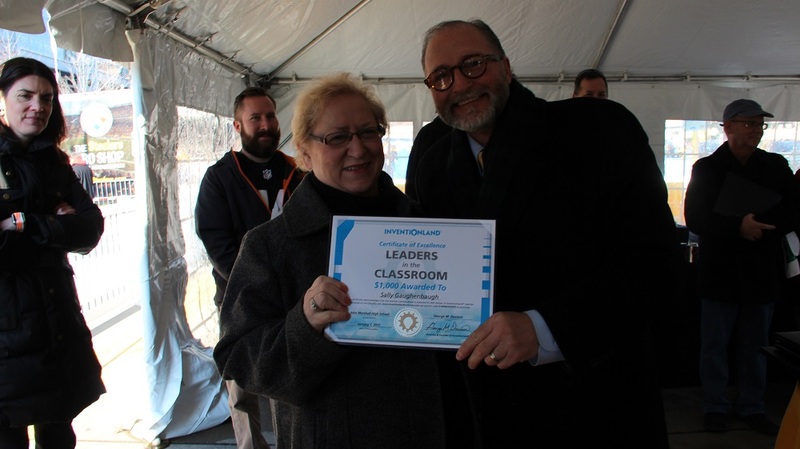 Similarly, Gaughenbaugh said that the award and Inventionland credit will help her make an even bigger impact in the classroom. 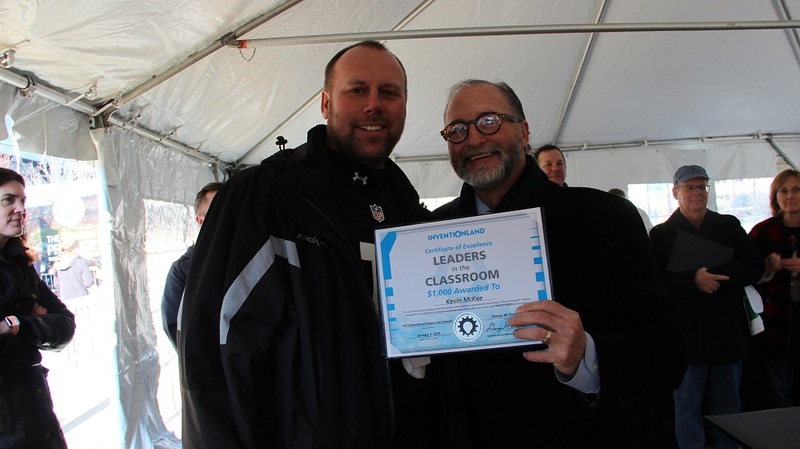 Taking part in honoring the Leaders in the Classroom at the Pittsburgh Steelers game was an innovative way to kick off the New Year! Here’s to much more STEAM-based success in their classrooms in 2017!